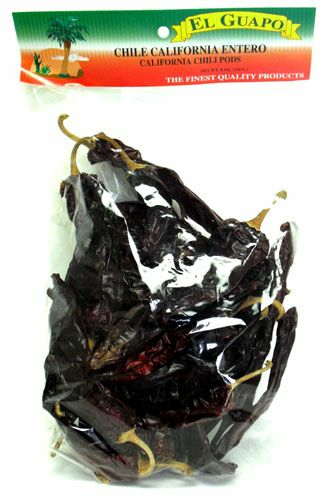 Chile California Dried Chile Pepper by El Guapo 8 oz. California chiles are also known as Anaheim chiles, New Mexico chiles. Green Chiles or Chilacas. These are mild chiles, when fresh are used for chiles rellenos. They can also be added to casseroles, stews, soups, and sauces. Its a mild heat flavor!! similar to Ancho, Poblano or Pasilla chiles. These is the best chile pods available in the market.